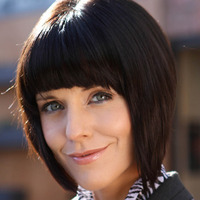 Stephanie Waring is an actress, known for Hollyoaks, Brookside: Double Take! and Hollyoaks Later. Cindy Cunningham is the daughter of Gordon "Mr C" Cunningham, sister to Max and half-sister to little Tom, life for Cindy has always been one drama after another. The Village's first gymslip mum, she was 16 when she gave birth to her daughter, Holly, in the back of her dad's video shop. Cunning(ham) through and through, Cindy gets by mainly on her knack for manipulating men. Her prey have included: Darren Osborne, Tony Hutchinson (at least twice! ), Rhys Ashworth, Alistair Longford and Dr. Paul Browning.